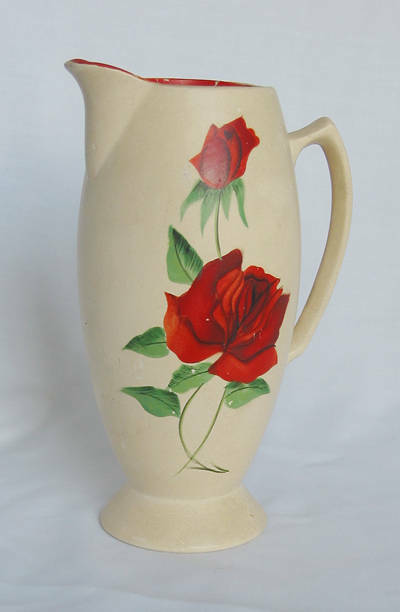 Tall jug in cream glaze with red-glazed interior, with rose decoration, base inscribed "BOGNOR MADE IN ENGLAND" around "BRENTLEIGH WARE". 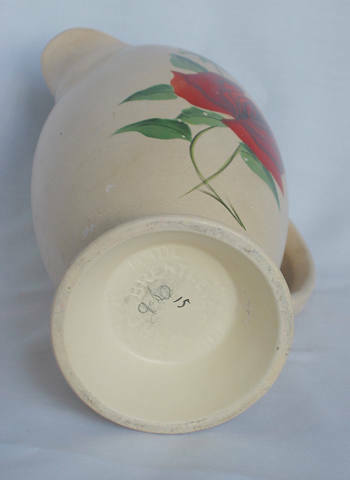 Size: Height 19.7 cm / 7¾"
Condition: Some wear to glaze in places. 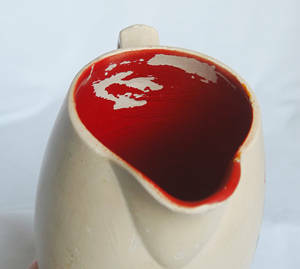 Interior red glaze flaked at back (see photo). 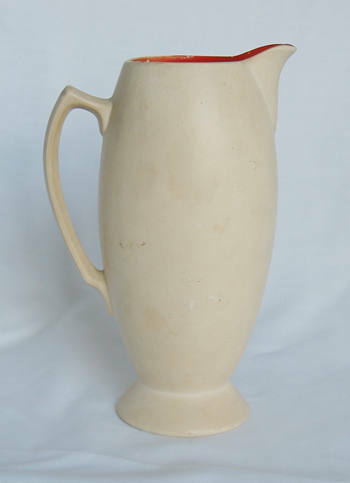 Brentleigh Ware was a mark used by Howard Pottery, based in Stoke-on-Trent. "Bognor" was probably a pattern name. A rare type.